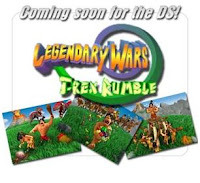 It was around September 24, 2008 when I first learned of Legendary Wars: T-Rex Rumble, and I saw a picture that showed it as a DS game. I visited Interplay.com earlier this morning, and was surprised to see a new video on their front page showing nearly 10 minutes of Legendary Wars: T-Rex Rumble game-play footage. I read the description on the new video, and noticed it said T-Rex Rumble was now going to be available through DSiWare. So, I decided to send some questions to Interplay, for clarification, and Eric Caen from Interplay replied very quickly to the email, answering the questions I sent over. 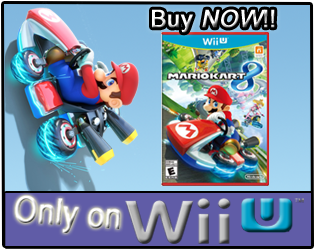 CWG Question1: How many Nintendo points will the game cost? If the price isn't finalized yet, can you provide the range of points you believe the game will fall into? Eric: "Price isn't defined yet. Probably in 800+ range." CWG Question2: What ESRB rating are you hoping the game will get? Eric: "E rating is definitely what we hope. Violence is limited to dino bashing, and TRex swallowing some soldiers sometimes." CWG Question3: The video states that, "After four years of effort, producer Eric Caen is proud to present Rob Stevens masterpiece: Legendary Wars: T-Rex Rumble for the Nintendo DS/DSi." 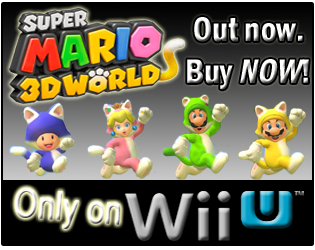 Is the game going to be available also on the Nintendo DS, or just on the DSi through DSiWare? Eric: "We have a plan to release a big version of DS/DSi gamepak but we don't know [a] release date yet. We are focusing on DSiWare for the moment." CWG Question4: Did any other people/studios, other than Rob Stevens, JM Philibert, and MZone Studio, work on Legendary Wars: T-Rex Rumble? Eric: "Rob, Jean-Marie Philibert and Mzone are the only one[s]. Before Mzone joined, we had a first version of the graphics done by Gabba in Brazil. CWG Question5: Is the game single-player only, or will it include any type of multi-player via WiFi connection? CWG Question6: Are the controls in the game stylus controls only, or will it also use the D-Pad, or any other buttons? Eric: "Stylus and touchscreen are very important. Some dpad movement[s] are possible." I asked Mr. Caen if the DSiWare version would feature the t-rex, mammoth, and pterodactyl, like the video showed from November 2008. Eric said, "Only the T-Rex is in the DSiWare version. There are different skilled units and the shaman." When I asked about a possible month for release, Eric said that a release date will depend on the "approval process", so he couldn't provide a precise release date, but Eric did say, "...March is certainly highly possible, also February, January sounds more challenging." CWG Question: Is there any other information on Legendary Wars: T-Rex Rumble, that you would like interested gamers to know about at this time...? Eric: "With the custom engine we have developed for the Legendary Wars, we have tried to create the most advance[d] RTS interface of [the] DS, with lasso, clever group attachment, contextual commands, all using the touch screen. Our goal is, if T-Rex Rumble is appreciated, to develop other Legendary Wars using the same engine..."
On November 10, 2008, a video popped up on YouTube showing three enemies in Legendary Wars: T-Rex Rumble. The enemies that appeared in the video were a t-rex, a mammoth, and a pterodactyl. A commenter on the video questioned about the, "variety of units to produce...", to which Eric Caen stated, "There are 5 different skilled units to produce including a shaman which casts different spells". The same commenter asked, "Is there any sort of base building and unit production or is it a case of a set skirmish with a pre-defined selection of units to complete the job with?" Eric Caen replied, "[In] the game player must produce the soldiers to complete tasks and missions. Some kind can be generated only after some key objects are found and brought back in the village". If you own a DSi, and have experience with DSiWare, does this look like a game that would interest you? A big thanks to Eric Caen from Interplay for responding to my questions and answering them so quickly! This games looks fun. Too bad I don't have a dsi. Yet another thing Nintendo is tempting me to buy. Wow! Epic DSiWare RTS incoming!